Group of seven laundromats generating positive cash flow at all locations. Five locations include real estate. The balance have below market long term leases. 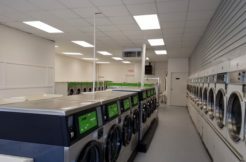 These stores were developed by a team dedicated to creating profitable and virtually trouble free laundromats throughout Arkansas. Facilities are all well-lit, clean and include remote monitoring. Two locations in El Dorado and three in Pine Bluff include real estate. One in Fordyce and one in Crossett have long term leases at below market rates. Initial low vend rates to attract clients is ready to be increased. 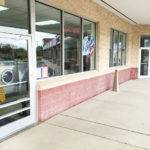 The following is an overview of our listing for Seven Laundromats in Central Arkansas. Most of the laundromats and their equipment have been recently upgraded. You are welcome to visit the locations incognito anytime they are open. We just ask that you not discuss the fact that the laundromat is for sale when you are on the premises. To receive more detailed information which includes Sales, Cost, FFE and SDE, the seller requires that we have a signed NDA (Non-Disclosure Agreement) on file prior to sending. We encourage you to meet at our office to sign the NDA and discuss the many aspects of this unique opportunity. If you are unable to do that, please use this signing link https://signnow.com/s/nhP71hIc to sign your NDA. After receiving your detailed summary you may want to meet with the sellers or require more detailed financial information. If you do, please download our Buyer’s Profile Form fill out the best you can and fax to 800.246.1660 or email to the address below. The seller is not offering seller financing. 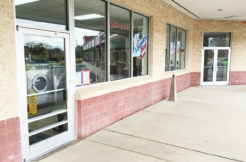 AEGIS Business Brokers, LLC has several commercial lenders that they work with including SBA lenders and one that specializes in laundromats. Written offers require $50,000 deposited in escrow within 72 hours of seller’s acceptance. The escrow funds are fully refundable if proper notice given during contingency periods. All offers with reasonable due diligence period and loan approval contingencies will be considered. LOI’s or offers prepared by AEGIS are acceptable. NOTE: The seller would prefer to sell the laundromats with the real estate and will entertain more creative offers that include both. The seller is not interested in splitting the laundromats but would consider a real estate only purchase with long term lease backs. Five of the units have real estate available. Appraisals have been completed in the past couple of years on some of the real estate and tax assessor valuation show increase in value on some. Offers that include the real estate generally have more lending options and longer amortization terms available.